Easy to make and full of flavor! 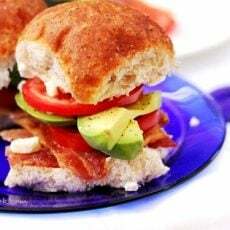 My inspiration for making sliders comes to me when I see small buns or dinner rolls that look really soft and fresh at the market. I usually find the best rolls when I’m not looking for them. 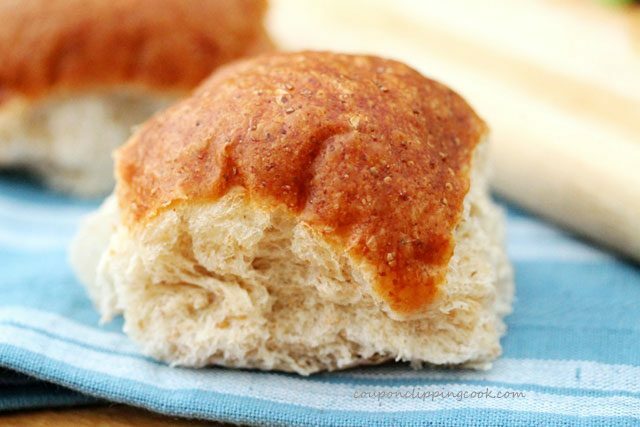 It’s when I need slider rolls for a recipe that it’s sometimes hard to find them. Really good tasting bread makes all the difference in the world when it comes to a good sandwich. 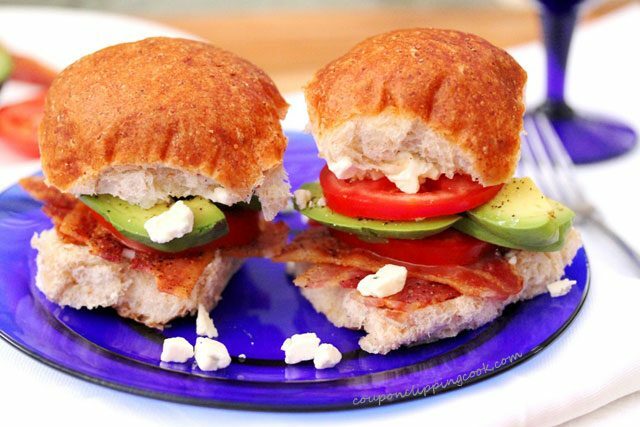 Fresh soft wheat dinner rolls match up perfectly with the delicious ingredients in these sliders. 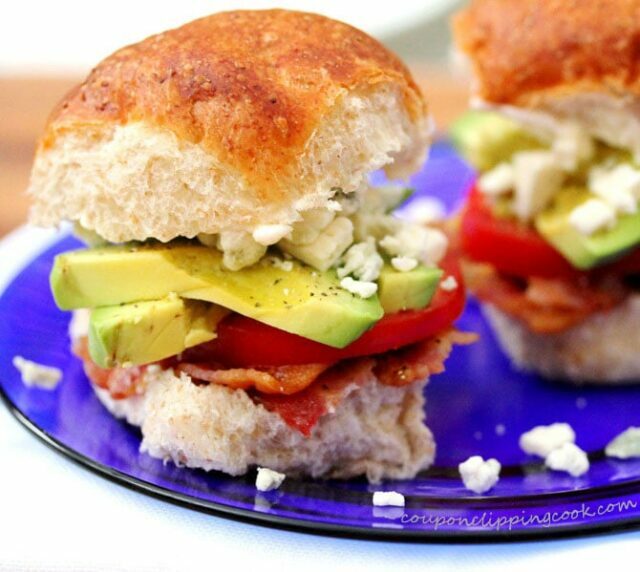 Crispy peppered bacon, soft ripe avocado, sliced fresh tomatoes and a pop of flavor from the crumbled blue cheese tastes heavenly with each and every bite of these sliders. Enjoy these delightful sliders for lunch or dinner along with homemade potato salad, macaroni salad or coleslaw. 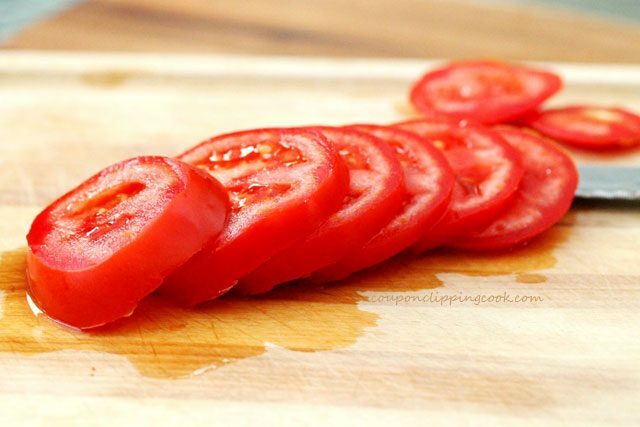 They also make a wonderful appetizer for a get-together or party. 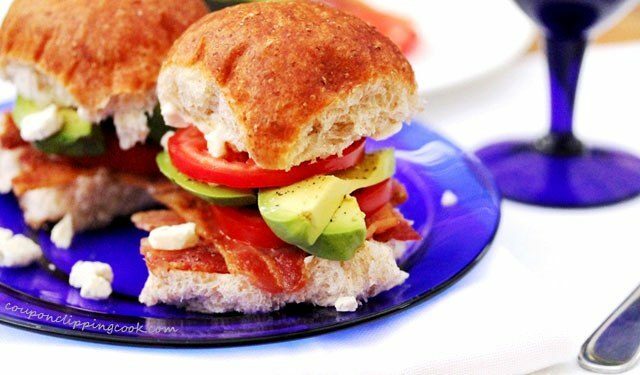 Let’s check out the ingredients – soft slider or small dinner rolls (wheat or white), crispy bacon, avocado, tomato, crumbled blue cheese, mayonnaise and ground black pepper. 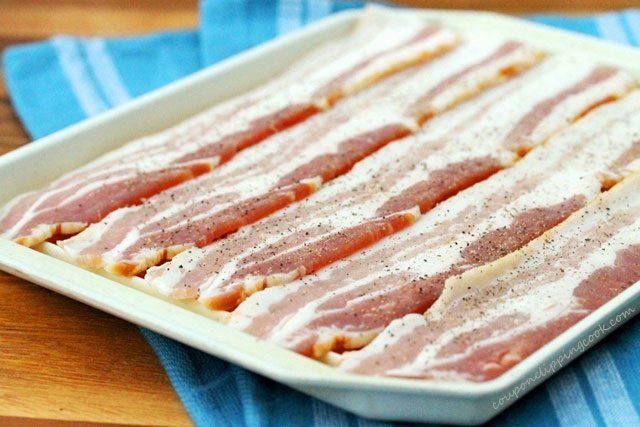 Lay out the bacon on a microwave cooking tray or warm skillet. Sprinkle pepper on the bacon (just one side of the bacon is fine). Cook the bacon in the microwave on a cooking tray, or in a skillet until brown and on the crispy side. 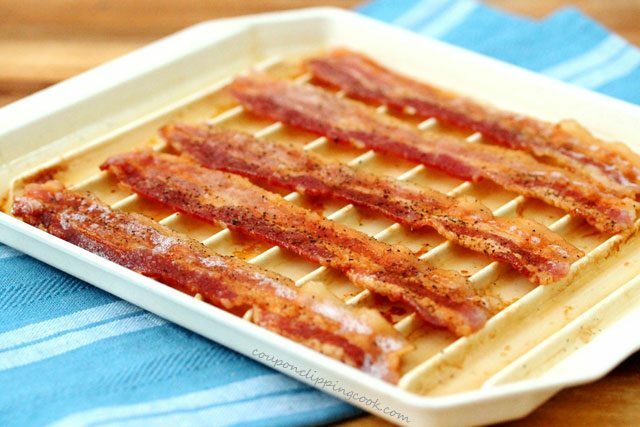 If using a microwave cooking tray, lay a paper towel over the bacon before putting it in the microwave. The paper towel should lay flat over the bacon as it cooks. After the bacon has cooked, transfer it to a paper towel-lined plate to absorb the excess grease. Set aside. Cut the avocado in half. 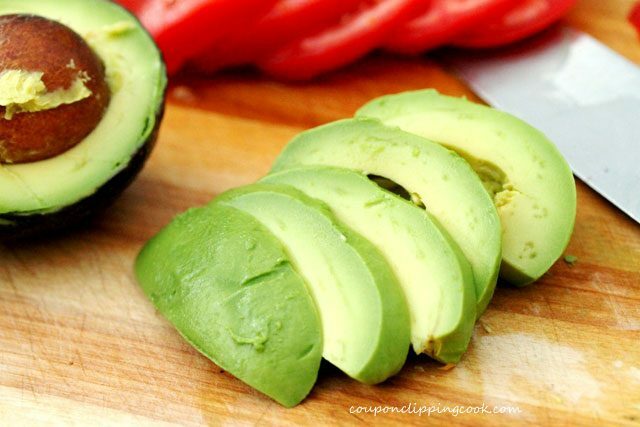 Remove the seed and use a spoon to scoop out each half of the avocado…then cut it in fairly thick slices. Cut the rolls in half (from side to side). Then generously spread mayonnaise on each side of the bun. 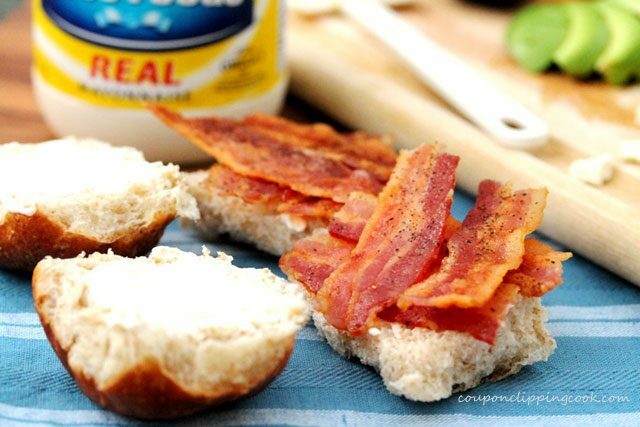 Break each piece of bacon in half and add 4 pieces (equal to 2 whole pieces of bacon) to each of the bottom sides of the bread. Then add a slice of tomato on top of the bacon and sprinkle it with pepper. 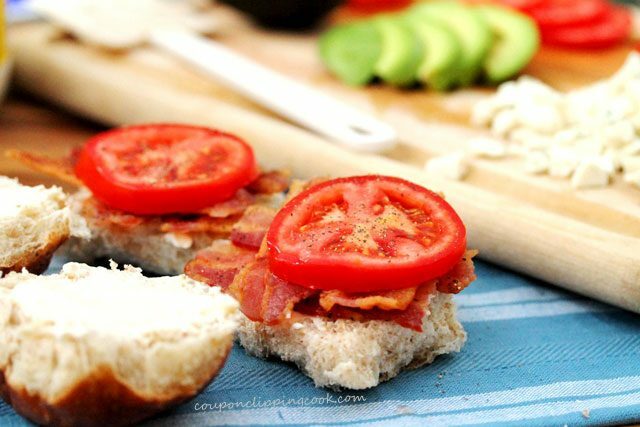 Next add the slices of avocado on top of the tomato (use ¼ of the avocado slices per slider) and sprinkle it with pepper. 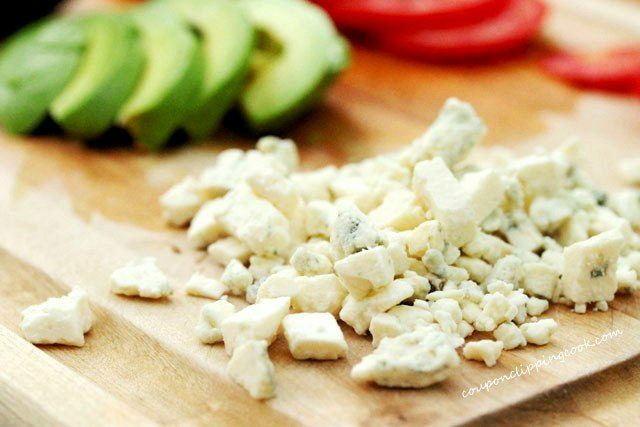 add the crumbled blue cheese on top of the avocado slices. Lastly, add the top of the bun and dig in! Cooking the Bacon - Lay out the bacon on a microwave cooking tray or warm skillet. Sprinkle pepper on the bacon (just one side of the bacon is fine). 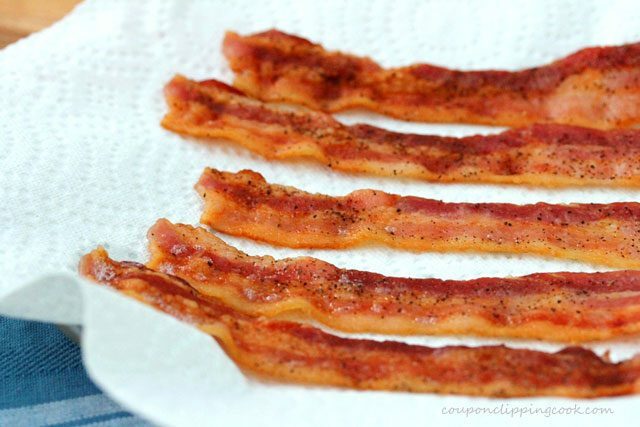 Cook the bacon in the microwave on a microwave cooking tray, or in a skillet until brown and on the crispy side. 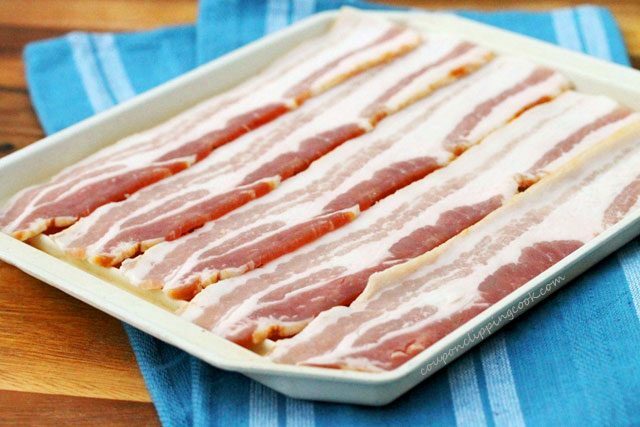 After the bacon is cooked, transfer it to a paper towel-lined plate to absorb the excess grease. Set aside. Generously spread mayonnaise on each side of the bun (on the cut side). Then, add a slice of tomato on top of the bacon and sprinkle it with pepper. 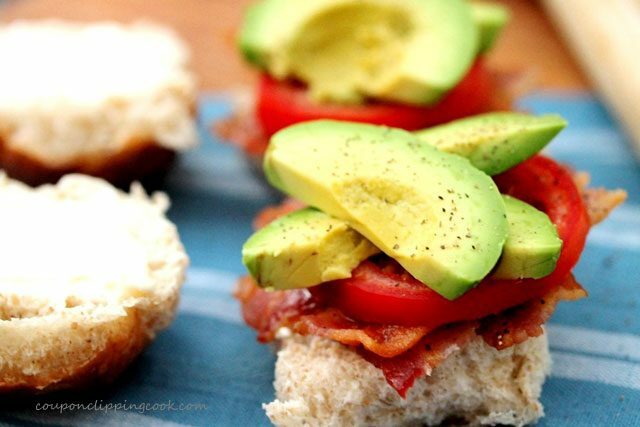 Next, add the slices of avocado on top of the tomato (use ¼ of the avocado slices per slider) and sprinkle it with pepper. Then, add the crumbled blue cheese. Lastly, add the top of the bun and serve. The recipe was originally posted on August 12, 2011. This look colorful, inviting and delicious! Thank you very much. I just visited your blog and it’s a beautiful site. Very delicious food and your pictures are so pretty. Oh my oldest would go crazy for these…all his favorites 🙂 They look fantastic! 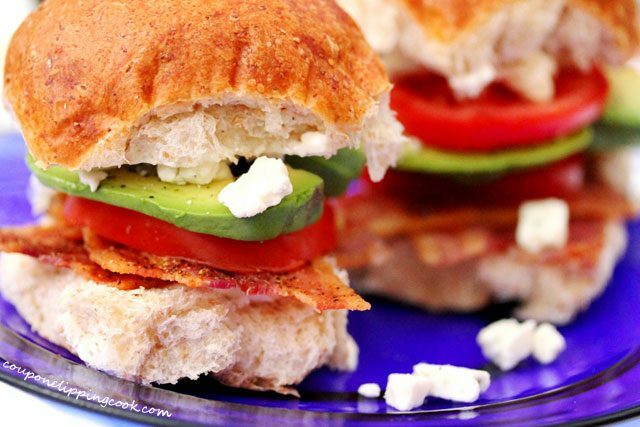 Your sliders look delicious…and I know they’re going to be a hit with my family. We raise avocados on our family farm in So. California, so we’re always looking for new ideas. My husband loves blue cheese! 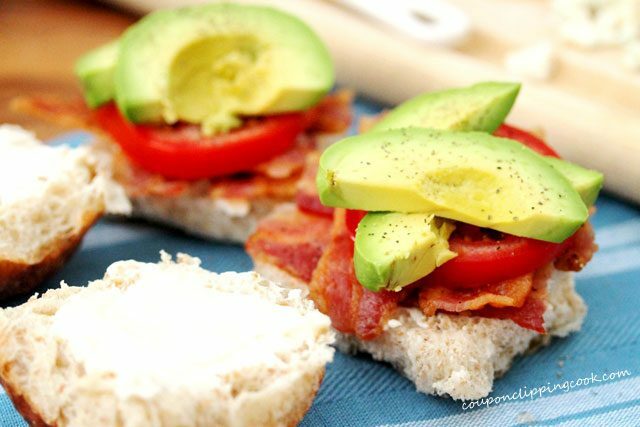 Bacon and avocado are delicious together. And my favorite mayonnaise! (I’ve been using avocado instead of mayonnaise lately to cut calories, but the flavor of that Best Foods is worth a few extra calories sometimes.) Thanks for posting such beautiful photos too! 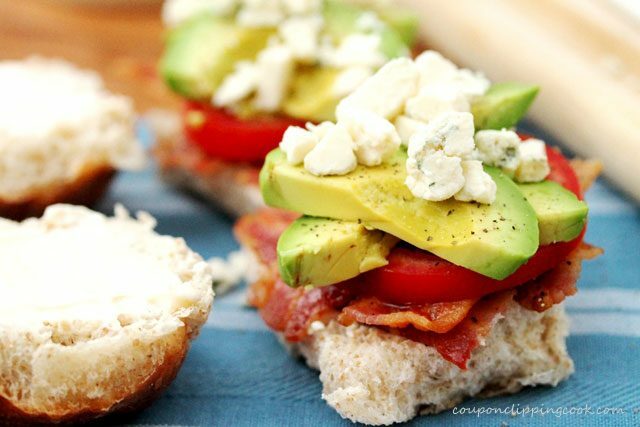 Hi Mimi, you must have great recipes for avocados…and how fun it would be to have so many available for your family. 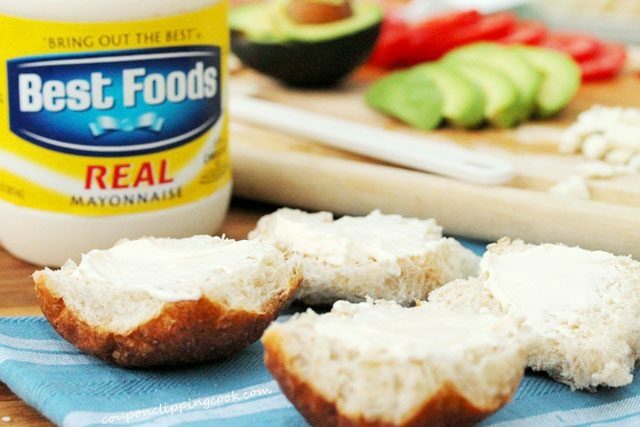 Great idea to use avocados instead of mayonnaise to cut calories! Avocados are so healthy. I just looked at your website and your avocados are beautiful….they look absolutely delicious. And you even offer mail orders….what a nice gift idea! I’ll be checking out the recipes you have on your site too.